Glasruhen Gate is the sequel to Catherine Cooper’s award winning The Golden Acorn. When Jack Brenin found out that, beyond doubt, he was ‘The One’ written about in ancient prophecy, his whole life changed. 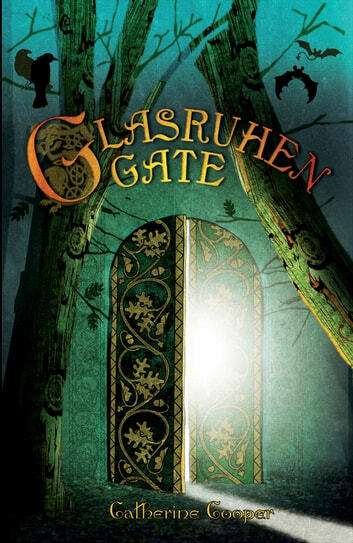 Now, armed with the golden acorn, his wand and newly acquired skills, Jack must fulfil his promise and ensure that Glasruhen Gate is opened before it’s too late. His new friends are depending on him. Jack doesn’t want to let anyone down but he knows he has to summon up all his courage and overcome his doubts if their quest is to succeed. Jack’s extraordinary magical adventures continue in this sequel to the bestselling 2010 Brit Writers’ Awards winner, The Golden Acorn. Written for readers aged 8 to 11, the Jack Brenin series continues in Silver Hill.